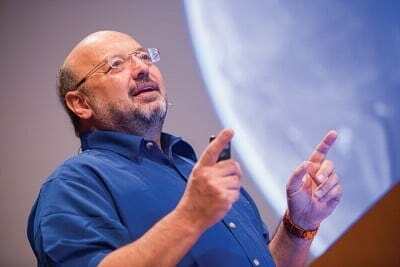 David Gallo, a globally-respected oceanographer, announced his new position as vice president for exploration on July 7 for the blockchain marine archaeology startup PO8, which is based in the Bahamas. PO8 utilizes blockchain technology to maintain transparency in their underwater discoveries, a benefit not only for investors, but for the Bahamian government as well. For the past 18 years, The Commonwealth of the Bahamas has upheld a moratorium over its oceans after years of looting and corruption sanctioned by archaeological expeditions. In the surrounding waters are billions of dollars worth of treasure and artifacts that date back to 1556-1790, the era of the Spanish Empire’s Galleon treasure ships. Previously, Gallo worked as co-expedition leader, creating the first detailed map of the RMS Titanic. Gallo was also part of the team that successfully found Air France flight 447’s crash site. The PO8 team has already begun planning exploratory missions. “We’ve… identified a couple of locations with cargo manifest records indicating the loads are significant in value,” Matthew Arnett, CEO and co-founder of PO8 said in a press release. In addition, PO8 is currently hosting an Initial Coin Offering for its Non Fungible Token (NFT). The tokens will represent digital ownership of physical assets recovered by the oceanographers on their expeditions. By using cryptocurrency as a form of ownership, the PO8 foundation will be able to study the artifacts and exhibit them in museums around the world with no need for physical ownership.